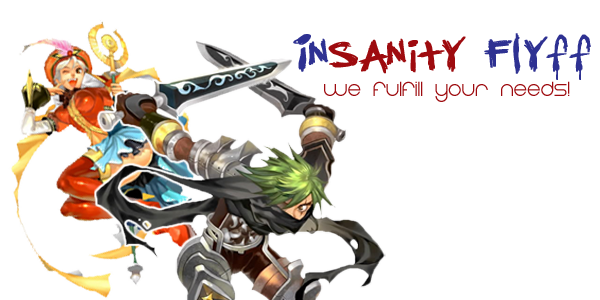 Talk about Insanity Flyff here. Suggest something to be added to the forum here! To show off your creativity, art and graphics you made. A place where you post poems, fanfics, or songs you wrote, they don't have to be about flyff either. Post your helpful guides here! If your buying anything, say it here, you might just get lucky. Check the price of an item here! Any old posts will be moved here.